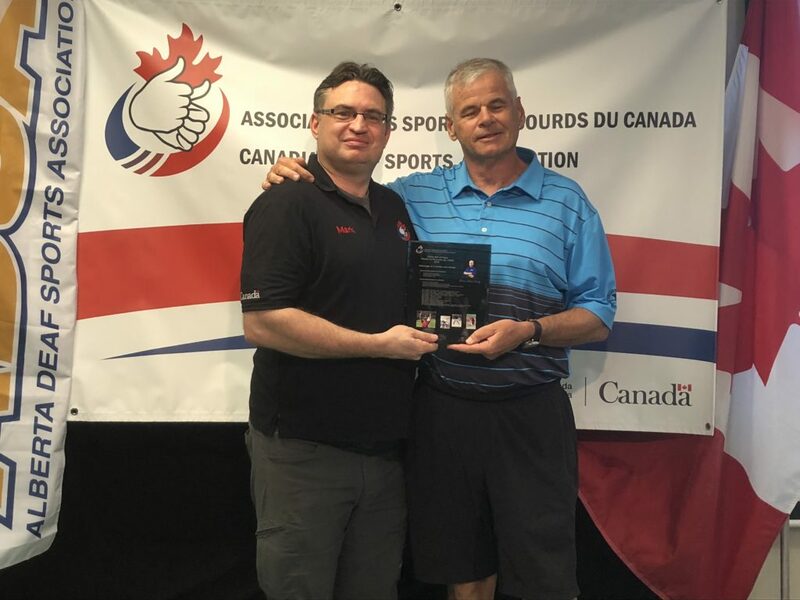 CDSA President Mark Kusiak poses with Rob Cundy, who was inducted into the CDSA Hall of Fame during the Sport Awards in June 2018. In the 2016-2018 period, a total of 246 Canadian athletes took part in sport events sanctioned by CDSA and ICSD from April 1st, 2016 to March 31st, 2018. These athletes took part in a total of 10 sport events including the Deaflympics, deux Pan American events, four World Championships and three Canadian Championships.